Happy Holidays from RECL | RECL | Ron Eastern Construction Ltd. The best gift is the joy we give to others. 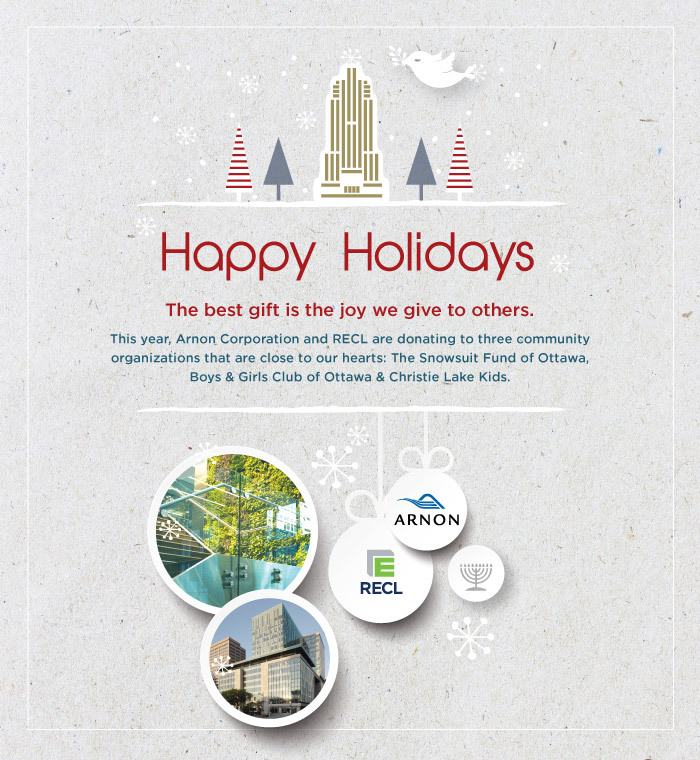 This year, Arnon Corporation and RECL are donating to three community organizations that are close to our hearts. The Snowsuit Fund Ottawa, Boys & Girls Club of Ottawa & Christie Lake Kids.